The son of late Texas Gov. Mark White, Andrew White has a well-known last name in the state of Texas. Though his father led the state from 1983-1987, his own gubernatorial run came as a surprise to him. “I have been an entrepreneur for 20 years. I never thought about being in politics,” said White. He made the decision after his father died this past summer. “It hit me we that don't have leaders like we used to have. My father's favorite quote is do right and risk the consequences. It’s a Sam Houston quote,” he added. 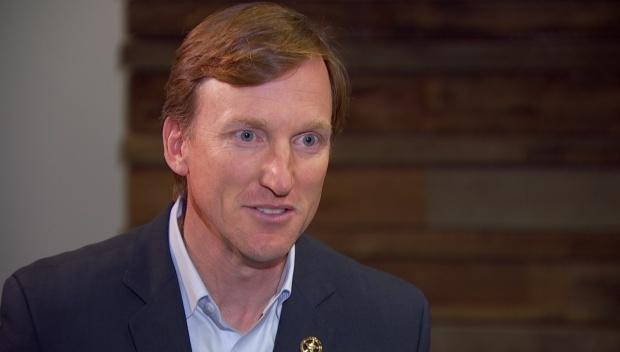 Andrew White, the son of the late Texas Gov. Mark White, talks about why he decided to run for governor. White is a moderate Democrat who is against bathroom bills. He supports the second amendment, but beleves in universal background checks. He personally does not believe in abortion. “Much like Joe Biden and Tim Kaine, on a personal level, abortion is not a choice that my wife and I would make, but it’s also not a choice that we would take away from other people. And so I have really tried to avoid the labels on this issue. It is easy to get involved in the us versus them label game and I have just avoided that. And so it’s not a simple answer. It’s not a one word answer, but it’s an honest answer. And when I am elected governor my expectation would be to veto any legislation that limits a women's right to choose,” said White. White is financially ahead of Democratic challenger Lupe Valdez, the former Dallas County Sheriff and the only other big name in the race. He raised $138,632 in the last fundraising period and has $168,502.21 cash on hand. On top of that, he loaned himself $1 million. Valdez raised $43,529 in the last fundraising period, and has $83,876.03 cash on hand. He thinks his fundraising ability sets him apart from other Democrats in a field of nine challengers. “There are nine candidates and I am not running against any one of them. So I would say the that the differences show up in the ability to raise money. Obviously we are running against a governor who has raised $43 million, so a successful candidate has to be able to raise money,” he added. Governor Greg Abbott has more than 40 million dollars in his campaign fund already. But challenger Lupe Valdez says the key to victory is about more than raising money. Tune in to Lone Star Politics on Sunday, December 10, 2017 at 8:40 a.m.
White, who refers to himself as a "common sense Democrat," hopes his campaign resonates. “My message is connecting with the voters. A message that says, 'I want to bring sanity and reason back to state government,'” said White. White has received endorsements from The Dallas Morning News and The Houston Chronicle. Valdez has been endorsed by Planned Parenthood and AFL-CIO Committee on Public Education. The Texas primary election will be held March 6. Early voting in the primary begins Feb. 20 and runs until March 2. Primary runoffs, if needed, will be May 22. The general election is Nov. 6. This week, Democrats try to gain ground as the 2018 primaries near. 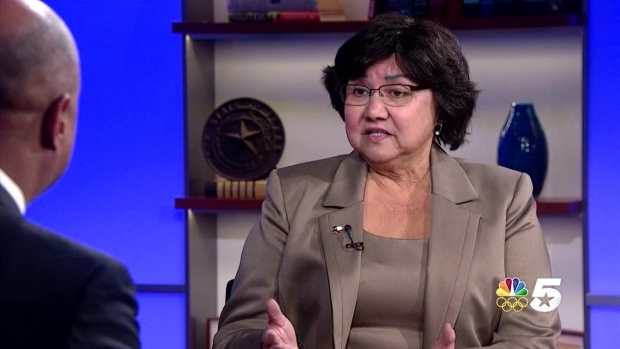 Dallas County Sheriff Lupe Valdez sits down to discuss her campaign for Governor. Longtime investigative reporter talks about his turn to politics, and how he plans to win House District 32. We discuss three Congressmen’s resignations in the wake of sexual harassment allegations.